“Web Exhibitions” of photos and digitized versions of books and materials owned by Waseda University Library are held online under different themes. Selections of rare books, including two national treasures and five important cultural properties (187 items), from the Library collection are available for viewing in this section. In commemoration of the 125th anniversary of Waseda University, the Library is presenting a special web exhibition on Tsunoda Ryusaku, who contributed to Japanese studies in the United States. 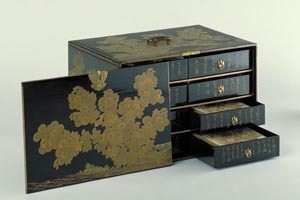 This section presents an introduction of bookbinding of actual artistic handicrafts from the past, which reflects the age and regional techniques and styles.